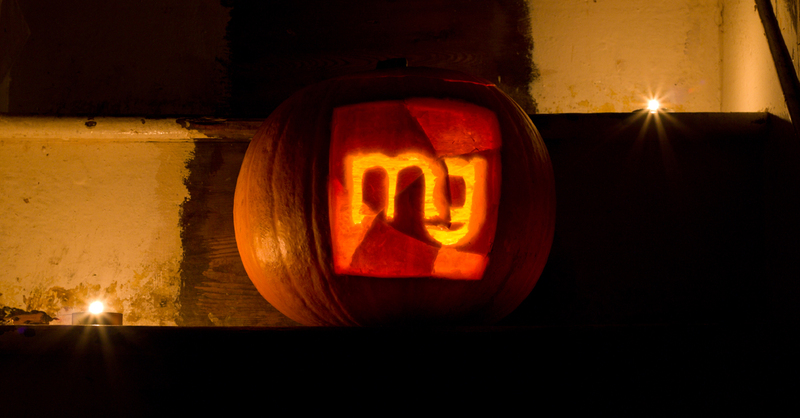 The MovieGlu team have been busy creating a speical pumpkin ready for Halloween. This one took almost five hours because even though it looks simple on a screen, our logo is actually a pretty complicated design to carve. Thanks to Steve and Rachel for creating this masterpiece! Ouija is the story of a group of friends must confront their most terrifying fears when they awaken the dark powers of an ancient spirit board. 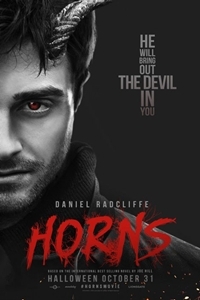 Daniel Radcliffe stars in the supernatural thriller, Horns. The film follows Radcliffe’s character, Ig Perrish, who hungover from a night of hard drinking, awakens to find horns starting to grow from his own head and soon realizes their power drives people to confess their sins. And finally, Annabelle, the scary story of a pigtailed doll possessed by a demon threatens a young couple with a newborn baby. Whatever you go and watch this week, remember, don’t have nightmares! We have all seen the closing credits at the end of a movie and, unless they include some comedic outtakes, many of us ignore them and leave the theater. Did you know that these very same closing credits that we have been ignoring for decades also appear on television programming and video games as well as motion pictures? 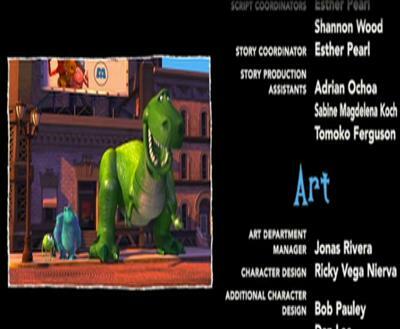 These closing, or end, credits are important as they list the cast and crew that was involved in the production. In the UK, the credits scroll right-to-left, whereas in the US, the credits can be seen scrolling bottom-to-top. Either way they appear as a list of names and positons usually in type so small that you can’t read it anyway. Where and how did credits get their start? Originally, credits were printed on a roll of paper and wound past the camera lense and it wasn’t until the 1950’s that closing credits were more elaborate and began listing more than just the starring cast. This would be the end of the ever popular opening credits reel that used to be added to almost every motion picture before this date. Even as the closing credit grew in popularity, the use of closing credits in a motion picture wasn’t very widespread, even to the point of being sporadic. It wasn’t until the early 1970’s when American film firmly established a standard where every movie was to use closing credits. This gave many filmmakers a chance to show off their comedic talents and add some entertainment to the usually dull and boring closing credit reel. Some filmmakers would even opt for closing credit sequences that were up to 8 minutes in length. Try sitting through those! The more creative filmmakers would use the closing credits as a sort of recap of the motion picture itself as was the case with Around the World in 80 Days (1956) which had one of the longest and most elaborate closing credit sequences of any film ever produced up until then. Closing credits were not a direct requirement for filmmakers back then or even today as is evident with the British television series Spooks. This show does not feature any credits at all, as a result of a decision made by the producers to add to the anonymity of the show’s content. The next time you sit down to your favorite TV show or go out to see a movie, sit just a minute or so longer and read the closing credits. These are the people that made the motion picture you just watched and gave you the hour or two of quality entertainment. If you missed Ghostbusters on the big screen when it was released in 1984, you now have a second chance! To celebrate its 30th anniversary, the entire film has been digitally re-mastered in 4K and will be shown in cinemas all over the UK on Tuesday 28th and Wednesday 29th October. We’ve compiled a useful list of where it’s showing in the UK. 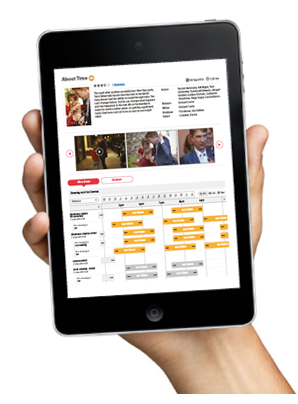 Visit MovieGlu and search showtimes for the above dates. Ivan Reitman’s film starring Bill Murray, Dan Aykroyd, Sigourney Weaver, Harold Ramis, and Rick Moranis was an instant hit, and has to be one of the cult movies of the 1980s. It was nominated for two Oscars at the 57th Academy Awards for Best Visual Effects and Best Original Song. When it was originally release, the film was number one at the US box office for five consecutive weeks, grossing $99.8 million. Egon Spengler: Try to imagine all life as you know it stopping instantaneously and every molecule in your body exploding at the speed of light. Ray Stantz: Total protonic reversal. Peter Venkman: Right. That’s bad. Okay. All right. Important safety tip. Thanks, Egon. Ray Stantz: You know, it just occurred to me that we really haven’t had a successful test of this equipment. Egon Spengler: I blame myself. Peter Venkman: So do I.
Ray Stantz: Well, no sense in worrying about it now. Peter Venkman: Why worry? Each one of us is carrying an unlicensed nuclear accelerator on his back. Ray Stantz: Your girlfriend lives in the corner penthouse… of Spook Central. Peter Venkman: She’s not my girlfriend. I find her interesting because she’s a client and because she sleeps above her covers… *four feet* above her covers. She barks, she drools, she claws! 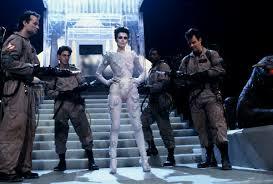 Gozer: Are you a god? Go see it next week, and let us know if it’s still as good as you remember! After a long hard summer of design, development and testing, I’m very pleased to announce that MovieGlu launched today. It’s available to anyone in the UK or US, totally free to use and no login required. Thank you to everyone who sent us feedback. If we haven’t included your feature request yet, don’t worry – it’s on our list, and we’ll get to it as soon as we can! There’ll be much more from us in the coming days, but in the meantime, enjoy!